* December 2014 – KCR on Rick Amato Show re: Domestic Violence Threats on Social Media. KCR Legal Analyst guest appearance on Graham Ledger Show. * November 2014 – KCR quoted in Star Magazine re: Khloe and Lamar’s Divorce. * October 2014 – KCR quoted in Star Magazine about Brad and Angie’s prenup. * September 2014 – Kelly Chang Rickert quoted in Women’s Health Magazine re: Prenups. * August 2014 – Why Kelly became a family law attorney, as discussed on Women’s Radio. * July 2014 – Kelly Chang Rickert is named “Rising Star” by SuperLawyers magazine- 7th year! * June 2014 – Kelly quoted by Daily Beast on pet custody. * May 2014 – Kelly appears on CNBC’s Closing Bell to discuss whether Rochelle Sterling can keep the Clippers, and OMG Insider to discuss Sheri Shepard’s custody battles. * April 2014 – Kelly discusses amicable divorces on Inside Edition re: Gwyneth Paltrow divorce. * March 2014 – Kelly’s advice about divorce and finances appears in this month’s Money Magazine, page 36. * February 2014 – Kelly discusses lifestyle/cheating clauses in prenups in Forbes. * January 2014 – Happy New Year! Kelly quoted in Star Magazine, page 36. * December 2012 – Happy Holidays from the Law Offices of Kelly Chang! On Wednesday, December 5, 2012, we will be presenters at Halfmoon Education, Inc.’s Advanced Family Law Practice for Paralegals: Handling Financial Issues at a Higher Level. * November 2012 – Kelly Chang Rickert explains restraining orders in Halle Berry’s custody case on CBS’s The Insider. * October 2012 – Kelly Chang Rickert shares why she became a family lawyer in new book “67 Conservatives You Should Meet Before You Die”, by Burt Prelutsky. * July 2012 – Kelly Chang Rickert quoted by Newsweek/Daily Beast and Inside Edition on prenups and ramifications of legal custody in Tom Cruise and Katie Holmes Divorce. She also appears on Inside Edition re: Prenups and Quick Settlement in Cruise/Holmes Divorce. 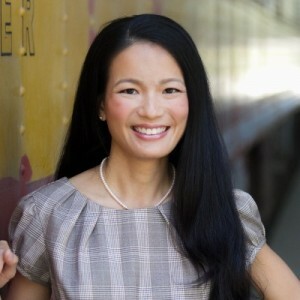 * June 2012 – Kelly Chang Rickert in SuperLawyers 2012. * May 2012 – Kelly Chang Rickert quoted on Teen Mom Jenelle Evans’ Custody Rights. * April 2012 – Kelly Chang Rickert quoted on Johnny Depp and Vanessa Paradis’ Split. * March 2012 – Kelly Chang Rickert on E! True Hollywood Story: Biggest Scandals Ever, premiers March 19, 2012, 10 am on E! * February 2012 – Divorce and Real Estate: Interview with Kelly Chang Rickert. * January 2012 – Happy New Year! CFLS Kelly Chang Rickert on Inside Edition re: Kobe Bryant’s Divorce. Happy 10th Anniversary to Our Firm! Kelly Chang Rickert Selected to 2015 SuperLawyers!